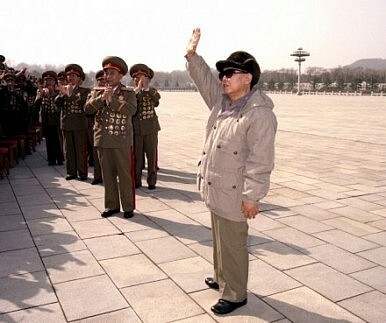 The death of Kim Jong-il has heightened the chances of the North Korean regime collapsing. The U.S. and China must be careful not to get sucked into the chaos. The sudden death of North Korean dictator Kim Jong-il poses another, and potentially very dangerous, new challenge to U.S.-China relations. Possible knock-on effects of Kim’s demise – ranging from a regime collapse to provocation by a weak and insecure successor or other forms of civil strife in North Korea – will force China, the United States, and South Korea to respond. If mutual distrust drives Washington and Beijing to take actions that each believes would serve its security interests, but which might be perceived by the other as provocative and ill-intentioned, the United States and China could be plunged into a crisis neither wants. Sadly, as the two great powers have little control over the succession process in Pyongyang, factors determining the stability on the Korean Peninsula and the complex geopolitical relations in East Asia are the factional dynamics, leadership personalities, and unknown levels of popular discontent inside North Korean. External influence exerted by great powers may affect the political calculations of North Korea’s ruling elites, but only to a very limited extent. Students of history should find this situation familiar: it’s not the first time that the geopolitical fortunes of great powers are held hostage by the political machinations of the rulers of a strategically located small nation. Given the huge stakes involved in the future of the Korean Peninsula, the volatility and unpredictability produced by Kim’s death has greatly increased the risks of great power conflict. A reunified Korea will certainly mean the loss of a buffer state for China, which will view a continuing U.S. military presence, particularly north of the 38th parallel, as a grave security threat. Massive refugee flows into China, meanwhile, will spread Pyongyang’s civil chaos into the Chinese border regions populated by ethnic Koreans and create a huge political headache for Beijing. Joint U.S.-South Korean efforts to restore order and security north of the 38th parallel, if undertaken without consultation with the Chinese, will make the Chinese apoplectic and could even trigger an ugly confrontation as Beijing suspects that the U.S. and its South Korean allies are attempting to create facts on the ground first. Of course, a clash between the United States and China over North Korea needs not happen under the best scenario, in which Kim Jong-il’s designated successor, Kim Jong-un, manages to establish his authority and gain the support of North Korea’s military and security forces quickly. If this is the case, Beijing, South Korea, and Washington will be only too happy to extend aid so that the status quo can be maintained. Unfortunately, the chances for Kim Jong-un doing so aren’t good. No modern authoritarian dynastic regime has succeeded in passing power to the third generation (mostly because of the fall of the second-generation rulers). Unlike his father, who had at least two decades to be groomed into his role as the heir apparent, Kim Jong-un, still in his late twenties, has barely three years of political apprenticeship and, reports suggest, a weak character.